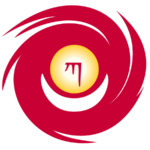 The Diamond Way Buddhist Meditation Group Singapore represents the international non-profit network of more than 600 lay Diamond Way Buddhist centers of the Karma Kagyu Lineage, founded by Lama Ole Nydahl and directed under the spiritual patronage of H.H. the 17th Karmapa Trinley Thaye Dorje. The Diamond Way Buddhist centers are friendly places where people get easy access to Buddha’s timeless wisdom, learn how to meditate and develop and share experience. As a lineage of direct oral transmission from teacher to student, the Karma Kagyu gives central place to meditation and, through interaction with a qualified teacher, can bring about the full and direct experience of the nature of mind. Our weekly meditation are open to the public and free of charge.